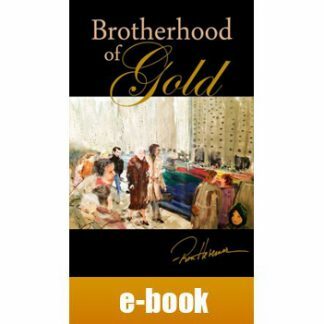 Dear Readers, Mr. Hevener is a recognized, award-winning author specializing in stories about romantic, sentimental, adventurous people who love their animals. 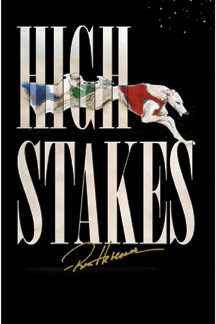 Most of his stories are set in the glamorous world of dog shows, horse shows and racing where he competes with the horses and dogs he raises and portrays in his work as a designer. 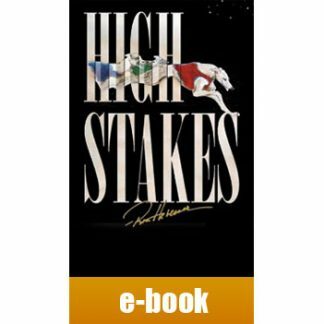 Not since the popular Black Stallion adventures of Walter Farley has an Arabian racehorse burst onto the American book scene … and this one’s for real. 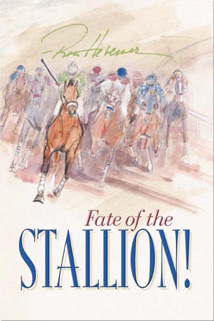 Based on the true story of a racing stallion saved from slaughter. His name was Nahgua … “Lover of the desert winds” . . . . He was the kind of horse DREAMS are made of and people FIGHT for! 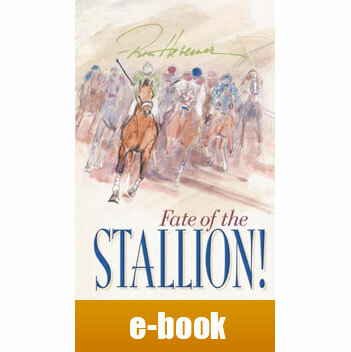 A classic Family-Rated story of horse lovers bringing a stallion back to glory and changing their lives forever. I am delighted to have found your website as I was lucky enough to purchase a cardigan corgi at Crufts dog show in England last month. I couldn't resist this one as I have never come across a piece of art work that has captured the character, expression, and conformation of the Cardi as yours does.